LG Optimus 2X was officially announced only a month ago and it seems that an online retailer has already been taking pre-orders for this dual core processor smart phone. Expansys which is a popular online retailer in the UK is busy taking pre-orders of this powerful handset and according to the officials of Expansys; this handset will be available in the UK in next month. The specifications of this handset are a 4 inch WVGA touch screen, 8 megapixel rear facing camera with 1080p video recording and 1.3MP camera at the front. 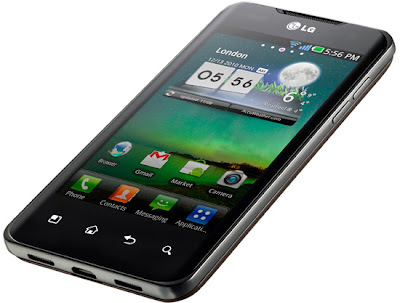 This handset has a 1GHz NVIDIA Tegra 2 dual core processor and runs on Android 2.2 Froyo. The other features include 3G connectivity, Wi-Fi, Micro USB, 8GB internal memory, 32GB expandable memory, 3.5mm headset jack, 1500 mAH battery etc. The pre-order cost is just £499.99 ($790) and this handset is completely unlocked.